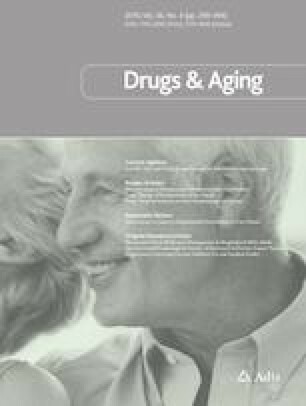 Cholinesterase inhibitors (ChEIs) and memantine have been reported to provide modest benefits for cognition and aspects of functioning in Alzheimer’s disease (AD). Ginkgo biloba extract (EGb761), a phytomedicine, is widely used and expected to be well-tolerated. A few trials have compared EGb761 with ChEIs, and the results were inconclusive. A network meta-analysis was conducted to evaluate the therapeutic benefits and tolerability of EGb761, three ChEIs (donepezil, galantamine, and rivastigmine), and memantine in mild-to-moderate AD patients. Electronic databases were searched through 30 June 2017. We included randomized double-blinded trials with a minimum treatment duration of 22 weeks for EGb761 240 mg/day and 12 weeks for ChEIs or memantine. The study patients included AD or probable AD patients without other types of dementia or neurological disorders. Cognition, function, and behavior symptoms were compared between treatments using the standardized mean difference (SMD). Clinical global impression, treatment discontinuation, and adverse events were compared between treatments using the relative risk (RR). Statistical pooling of the individual trial results was conducted using a frequentist approach. The probability of being the best for a treatment was estimated using surface under the cumulative ranking. EGb761 and memantine showed no therapeutic benefits in all study outcomes. For cognition, all ChEIs were significantly better than placebo (SMD from − 0.52 to − 0.26), and galantamine was better than rivastigmine in the oral and patch forms, EGb761, and memantine (SMD [95% confidence interval (CI)]: − 0.22 [− 0.40 to − 0.05]; − 0.26 [− 0.45 to − 0.07]; − 0.34 [− 0.56 to − 0.12]; and − 0.42 [− 0.71 to − 0.13], respectively). Compared to placebo, galantamine, the rivastigmine patch, and oral rivastigmine provided modest functional benefits (SMD, from 0.21 to 0.24), and galantamine provided behavioral benefits (SMD [95% CI]: − 0.15 [− 0.26 to − 0.04]). All ChEIs provided a better improvement in clinical global impression than placebo (RR from 1.20 to 1.69). The global impression ratings were more improved with donepezil than with galantamine (RR [95% CI]: 1.40 [1.09–1.80]) or with EGb761 (RR [95% CI]: 1.40 [1.06–1.85]), with a 96% probability of donepezil being more effective than the other study agents. Rivastigmine in oral and patch forms, galantamine, and donepezil had a higher risk of being discontinued than placebo (RR [95% CI]: 2.14 [1.49–3.06]; 2.04 [1.30–3.20]; 1.79 [1.28–2.49]; 1.49 [1.03–2.17], respectively). Discontinuation of EGb761 was not statistically lower than that of the ChEIs, in which donepezil had the lowest probability (38%) of being discontinued. EGb761 and memantine showed no treatment benefits compared to placebo and ChEIs. Galantamine provided the highest beneficial effect on cognition and behavioral symptoms. Donepezil provided a better clinical global impression and tolerability than the other ChEIs and EGb761, with a similar benefit for cognition as galantamine. The online version of this article ( https://doi.org/10.1007/s40266-019-00648-x) contains supplementary material, which is available to authorized users. The authors thank Dr. Cynthia R. Gross for providing editing assistance. OT: study concept and design; acquisition; analysis and interpretation of the data; and drafting of the manuscript. CL: study concept and design; acquisition; analysis and interpretation of the data; drafting of the manuscript; and revising it critically for intellectual content. OW, TR, PL, and PL: revising manuscript critically for intellectual content. All authors were involved in the final approval of the version to be published and agree to be accountable for all aspects of the work. Funding for this research was provided by Faculty of Pharmaceutical Sciences, Khon Kaen University, Khon Kaen, Thailand. The funding source had no role in the preparation of this article. Onnita Thancharoen, Chulaporn Limwattananon, Onanong Waleekhachonloet, Thananan Rattanachotphanit, Phumtham Limwattananon, and Panita Limpawattana declare that they have no conflict of interest. World Health Organization. Dementia fact sheets; 2017. http://www.who.int/news-room/fact-sheets/detail/dementia. Accessed 15 Jan 2018. Higgins JPT, Green S, editors. Cochrane handbook for systematic reviews of interventions, 418 version 5.1.0; 2011. http://handbook.cochrane.org. Accessed 30 Jan 2018. Higgins JPT, Sovović J, Page MJ, Sterne JAC, editors. Revised Cochrane risk of bias tool for randomized trials (RoB 2.0); 2016. https://www.bristol.ac.uk/media-library/sites/social-community-medicine/images/centres/cresyda/RoB2-0_indiv_main_guidance.pdf. Accessed 30 Jan 2018.